Oodles of charm for this old watermill somewhere near Limoges in France. The setting is stunning, trees, a brook and dead leaves. The sun waiting to come through. The house was meticulously restored on the outside, it now needs to be refitted inside as a holiday home. The main building, the building to the right in the photo above, has a rectangular footprint, roughly 14 metres by six. 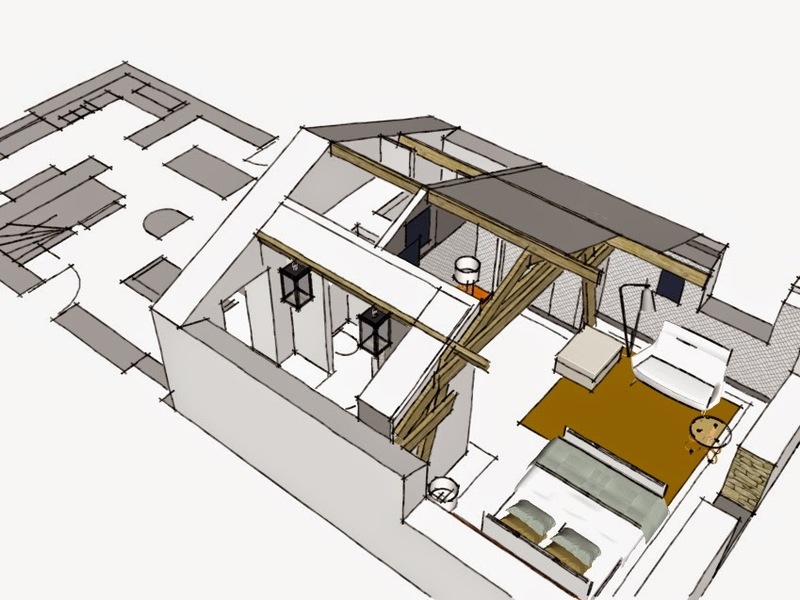 It will have a kitchen (far left in this 2D/3D drawing), living area, and to the right, in 3D, the master bedroom with en-suite bathroom. Above the living area is another floor with a second bedroom, reading area and second bathroom. The inside is a shell at the moment (see photo below). The main challenge was to work with the very visible roof support structure. We decided to create a storage space to the left (accessible from the corridor) and wardrobes to the right to limit the risk of people hurting themselves accidentally on the structure. 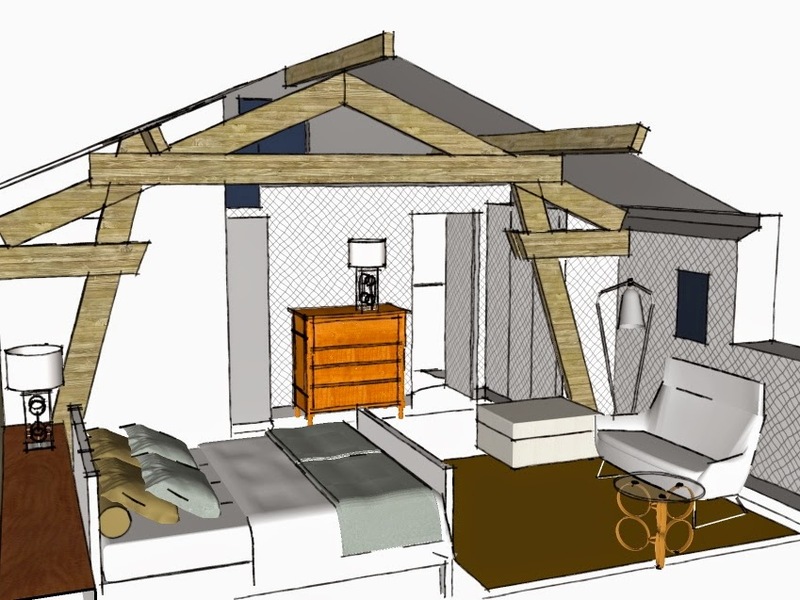 This set-up creates an elegant entrance to the bedroom, with the bed set back in the main part of the room. Next to the chest is the door to the bathroom. Style-wise, I suggested a retro-classic look. 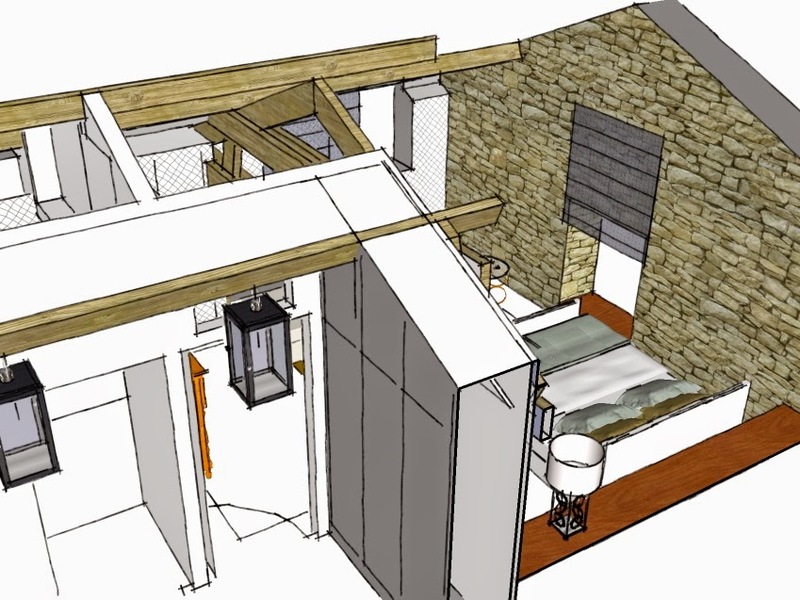 The general setting is rustic enough, the interior could do with some umph. 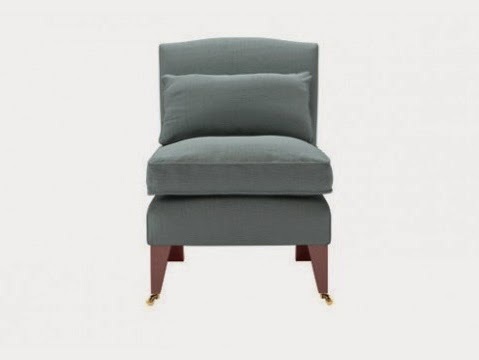 Bring in 1950s, stylish furniture and complement with more traditional items. 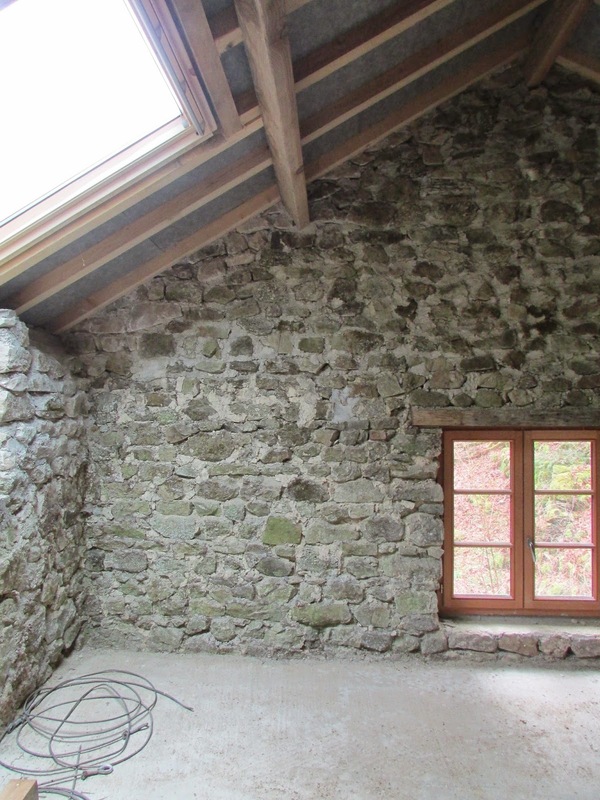 Some of the walls will be kept in exposed stone. The house will have underfloor heating. 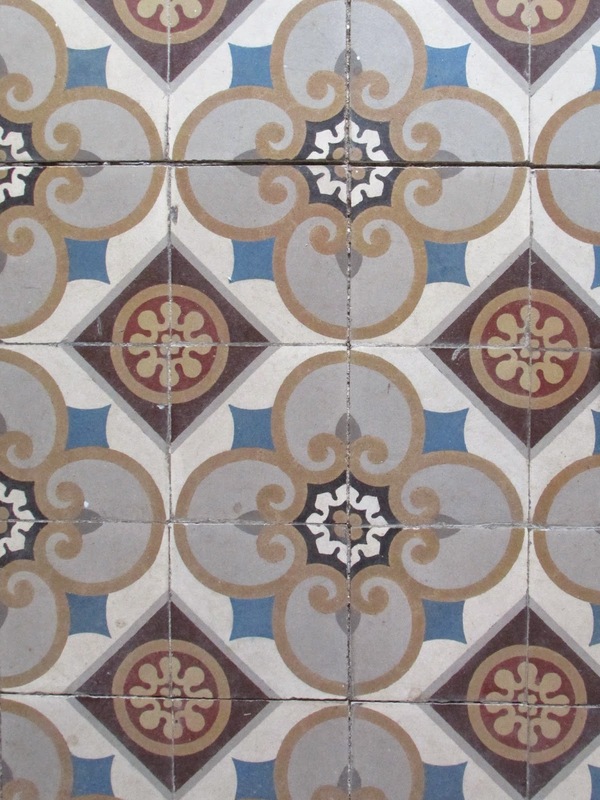 I suggested a cement tile as main floor covering. These are too colourful for a small house, I think, though good for inspiration! 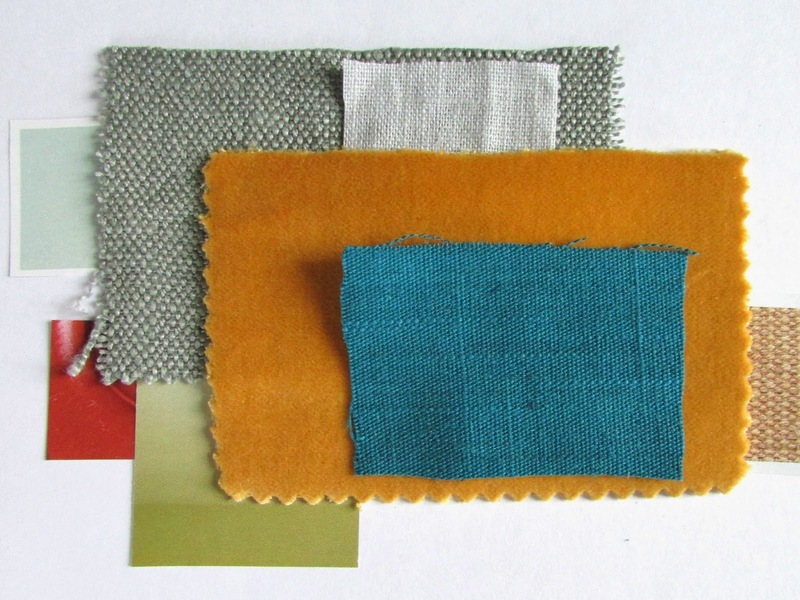 The colour scheme in fabric samples.